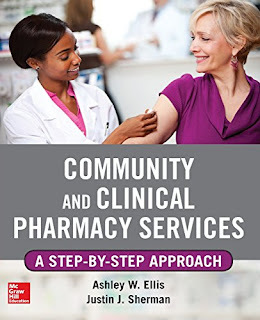 Community and Clinical Pharmacy Services teaches pharmacy students and practicing pharmacists how to provide advanced levels of pharmacy services in community and clinic settings designed to help patients achieve specific health goals and treat common disease states. This unique text provides practical--rather than merely ideological--ways for pharmacists to utilize their extensive clinical knowledge and fill a major gap in American health care. It discusses barriers, necessary skills, required knowledge, and issues related to preparation, interventions, patient outcomes, economic aspects, and marketing considerations for therapeutic areas commonly addressed in the outpatient setting. Also covered are immunizations, anticoagulation, and cardiometabolic services. The disease state chapters include learning aids such as summary points, first-hand accounts from experienced pharmacists who have implemented pharmacy services for that particular condition, a simulated patient case, and multiple-choice questions.